By injecting a fluorescent dye and using near-infrared imaging, MSK surgeons can identify sentinel lymph nodes in the pelvis. Focusing on these nodes for the presence of cancer cells allows the surgeons to avoid removing a large number of other nodes. MSK surgeons pioneered an approach for determining where gynecologic cancers are likely to spread first, allowing them to remove a much smaller number of lymph nodes and reduce complications of surgery. 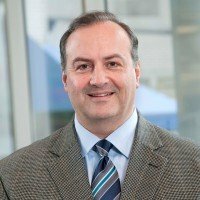 A new study validates that this technique, called sentinel lymph node mapping, is just as effective for staging endometrial cancer as a traditional method that requires extensive surgery to remove a large number of nodes. Sentinel lymph node mapping traces where cancer usually spreads first. MSK surgeons pioneered the technique for gynecologic cancers. It allows surgeons to avoid removing a large number of lymph nodes. A new study validates this approach for preventing cancer spread. When surgeons take out a tumor, they often remove nearby lymph nodes to be examined for cancer cells that may have spread. This longstanding practice is important for guiding treatment decisions, but it requires more extensive surgery and increases risk of complications. 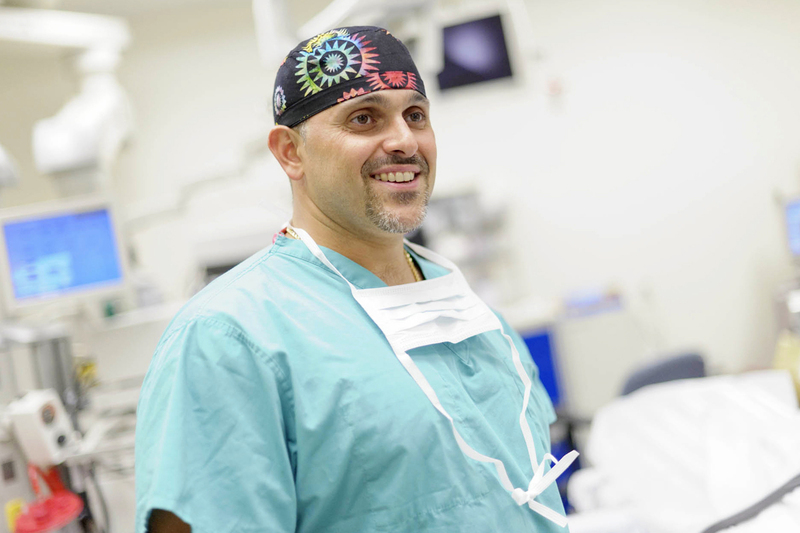 Beginning in 2003, Memorial Sloan Kettering gynecologic surgeons, led by Nadeem Abu-Rustum, pioneered the use of a technique called sentinel lymph node mapping (SLNM) to stage gynecologic cancers. SLNM is a way to detect whether cells have escaped a tumor and spread to the sentinel nodes — the first lymph nodes to which the cancer is likely to spread. This method had already been well-established to treat breast cancers. Although MSK’s surgeons have since incorporated SLNM into routine practice for gynecologic cancers — first with cervical, then endometrial cancer — many physicians at other institutions have been reluctant to adopt the approach, mainly due to fears they would overlook nodes containing metastatic cancer cells. Now a new study has validated the MSK method of using SLNM for staging endometrial cancer. It shows that the MSK technique works as well as traditional lymph node removal for detecting cancer spread and that there is no difference in how long patients survive. 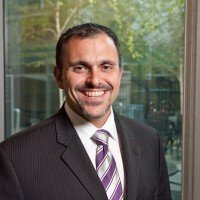 “This finding could truly change how endometrial cancer is treated, improving patients’ quality of life without placing them at risk for undetected cancer,” says MSK gynecologic surgeon Mario Leitao, who led the study. Traditionally, surgeons treating women with early-stage gynecologic cancers removed numerous lymph nodes in the pelvis — sometimes as many as 50. This practice, called pelvic and para-aortic lymphadenectomy, was developed more than 20 years ago and has since been widely adopted. However, this invasive approach can have serious side effects. One of the most common is lymphedema of the legs, an often debilitating condition characterized by painful swelling and skin changes that leave the patient vulnerable to infection. It is a huge benefit if more women can be spared unnecessary node removal and the resulting side effects. Lymphedema seriously impairs day-to-day quality of life, and it can persist for decades. The long-term effects are especially disheartening for women with early-stage forms of endometrial cancer. These patients are cured more than 90 percent of the time, and many of them are still in their 30s and 40s. The SLNM method developed and refined by Dr. Abu-Rustum is strikingly low-tech, relying on the skill of the surgeon rather than highly advanced imaging methods. Just before the operation to remove the tumor, the surgeon injects dye at two precise locations in the patient’s cervix. 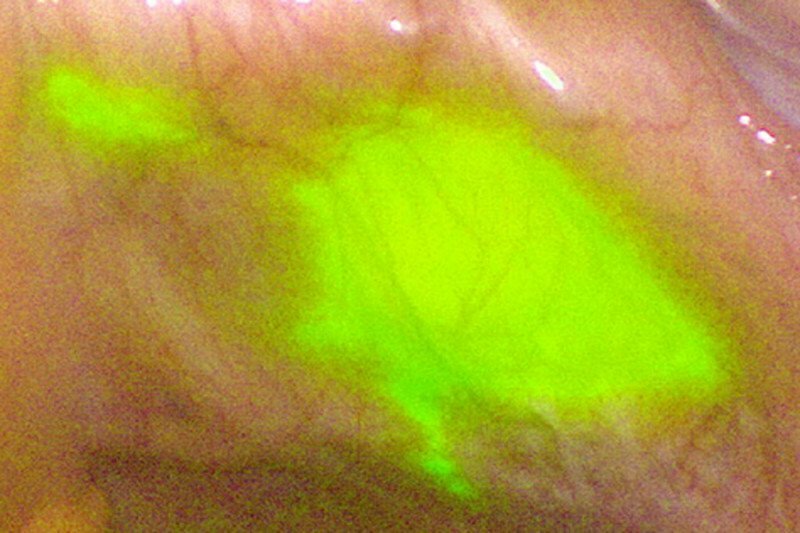 (MSK surgeons initially used blue dye for the technique but have since switched over to a fluorescent dye called indocyanine green, which is very easy to detect under near infrared imaging.) Lymph fluid carries the dye to the sentinel node, making them easily identified. At the same time that the tumor is taken out, the sentinel nodes are removed and examined for cancer cells by a pathologist. If they are free of cancer, usually no additional lymph nodes need to be removed. If any nodes do contain cancer cells, the surgeon may or may not remove more nodes for further inspection, and the patient may require chemotherapy or radiation following surgery. Dr. Leitao explains that using SLNM rather than performing lymphadenectomy shortens the operation by an hour or two and also makes it possible to use minimally invasive procedures such as laparoscopy or robotic surgery. To ensure cancer spread is not missed, Dr. Abu-Rustum developed an algorithm — a specific set of steps to follow — for SLNM use with stage I endometrial cancers. An essential part of this algorithm calls for the removal of additional lymph nodes when SLNM provides inconclusive results. One key to the effectiveness of the MSK technique is that removal of fewer nodes means they can be subjected to more-exhaustive examination by pathologists. This close scrutiny, called ultrastaging, enables clinicians to be more accurate in the way they stage and define the disease. The recent study, published in Gynecologic Oncology, came from a three-year collaboration between MSK and the Mayo Clinic. It compared MSK’s SLNM staging algorithm with the lymphadenectomy approach used by Mayo in 1,135 patients who were treated for early-stage endometrial cancer. Surgery is an important part of diagnosis and treatment for uterine (endometrial) cancer and may cure the illness in women who have the disease in an early stage. Results showed that there was no difference in patient survival rates when comparing the two techniques. The SLNM method detected cancer spread as well as lymphadenectomy — in fact, SLNM identified metastatic cells at a slightly higher rate due to the closer examination of the nodes removed. Dr. Leitao says the results should draw a lot of attention because the evidence is so convincing. This study was supported in part by the MSK Cancer Center Support Grant P30 CA008748. Will this be used for other cancers in the future? Sentinel lymph node mapping was explored in lung cancer, but the advantage in lung cancer is not confirmed. Besides, lymphadenectomy in the chest does not have morbidity like in breast cancer lymphadenectomy. So thoracic surgeons do not use sentinel lymph node approach routinely. Sentinel lymph node mapping is, however, being investigated for gastric and esophageal cancers. HI - I was diagnosed with stage 3 high grade serous endometrial adenocarcinoma.....recently....D you know what my chances for cure are? Have any studies been done with Paleo Diet/eating to cure cancer.....or is radiation and chemo the only cure? There is no evidence that diet alone can cure any kind of cancer. If you’re interested in coming to MSK for a consultation, you can call 800-525-2225 or go to https://www.mskcc.org/experience/become-patient/appointment for more information on making an appointment. Thank you for your comment and best wishes to you.